I made this snack last week with Fun Bites Cube It. 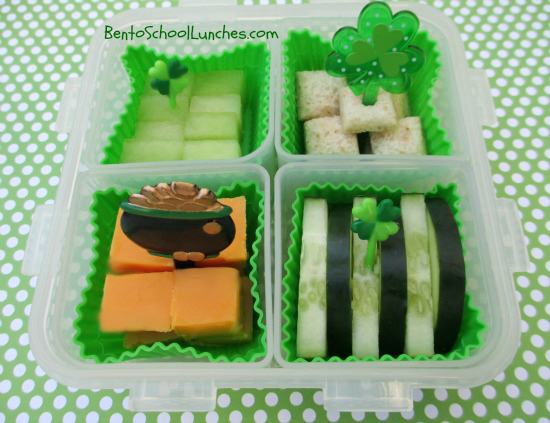 It will be great for St.Patrick's day snack on the go. Honeydew melon, SunButter sandwich and cheddar cheese cut with Fun Bites cube it. Here are the supplies or similar that I used to make this snack. That's a great Snack! So much green, my favourite colour. ;)That looks really healthy and delicious!